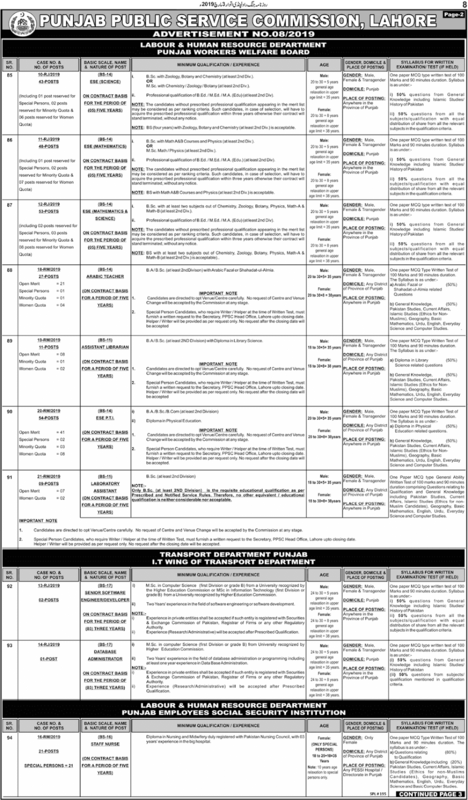 Jobs Description: PPSC Advertisement 08/2019 is given below on our site. Visit our site to view PPSC Advertisement 08/2019. 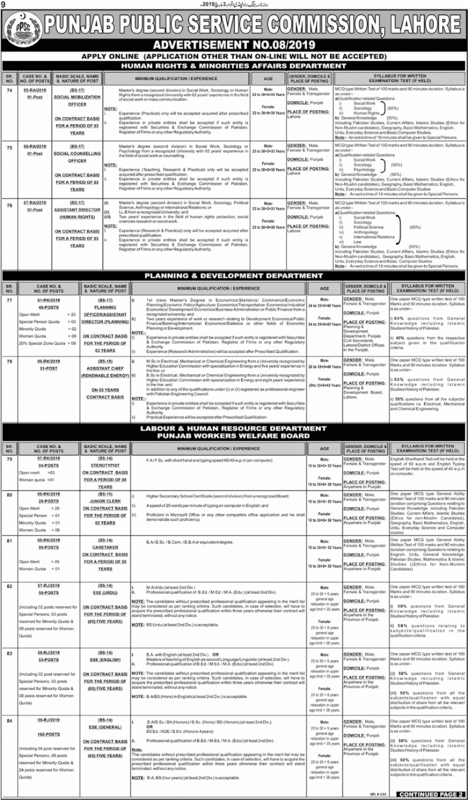 The Government of Punjab recently announced an advertisement for Jobs in Human Rights & Minorities Affairs Department, Planning & Development Department, Labour & Human Resource Department, and Transport Department Punjab in the Punjab Public Service Commission. 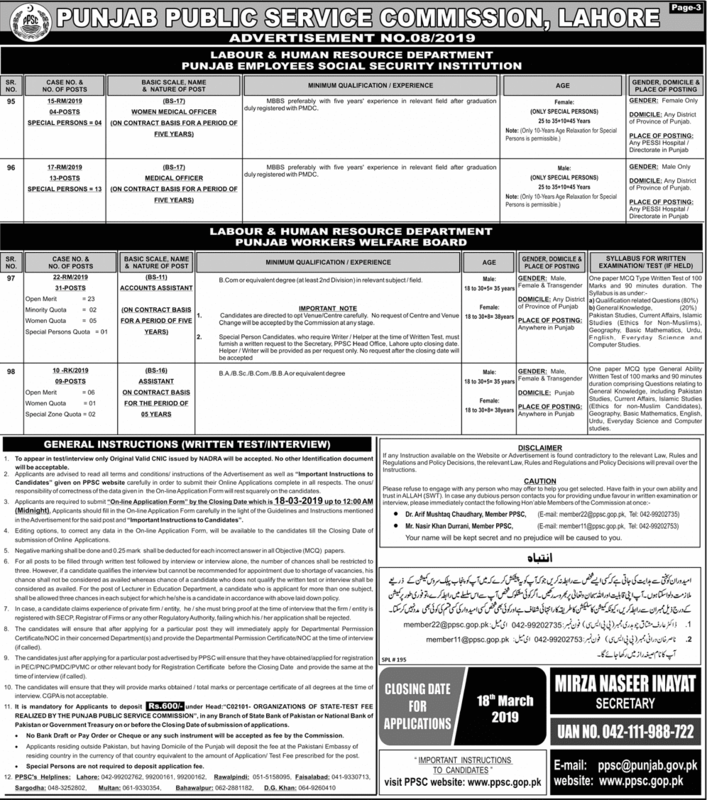 PPSC Jobs March 2019 is given below as the department name. How To Apply: The interested candidates may apply online through the Punjab Public Service Commission official website. Applications other than online will not be accepted.